Fertility treatments are available for women diagnosed with a gynecological malignancy, which is important for women who desire a biological family subsequent to treatment. 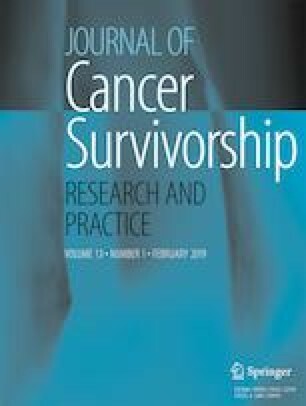 The objective of this study was to report reproductive outcomes following fertility-sparing treatment for a gynaecological cancer. Electronic databases were searched to identify studies that reported on reproductive outcomes after treatment for a gynecological malignancy. In total, 77 studies were included which reported on reproductive outcomes after treatment for cervical cancer, endometrial cancer, gestational trophoblastic disease, and ovarian cancer. The main treatments included vaginal or abdominal radical trachelectomy, progestin therapy, salpingo-oophorectomy, and chemotherapy. The mean age at diagnosis for the study population and at birth were 30.5 years and 30.3 years, respectively. There were 4749 pregnancies (42%) reported for the included studies, with a miscarriage rate of 15% and a medical termination rate of 5%. The live birth rate was 74% with a 10% preterm rate. Patients should be offered timely discussions, information, and counseling regarding the impact of gynecological cancer treatment on a patient’s fertility. Furthermore, fertility-sparing strategies and fertility preservation should be discussed prior to starting treatment. This article does not contain any studies with human participants or animals performed by any of the authors. The current study was a systematic review of existing studies that did not involve collection of new data. The current study was a review of existing studies that did not involve collection of new patient data; hence, informed consent was not obtained from individual participants for the purpose of this manuscript. The authors are editorially independent of any funding sources. The views and interests of the funding sources have not influenced the conclusions reported in this document. This article is a systematic review of scholarly literature and did not require involvement of human participants. Australian Government Department of Health. The pharmaceutical benefits scheme. Goserelin. [cited 2019 21st February]; Available from: www.pbs.gov.au/medicine/item/1454M.